August's 3rd Thursday theme is "Touch a Truck" and will feature a concert with The Whiskey Treaty Roadshow! "Touch a Truck" is an event where kids (and adults) can see, touch, interact with and learn about dozens of cool vehicles, including fire trucks and police cars, construction vehicles, airport vehicles and more. Whiskey Treaty Roadshow will be performing on a pop-up stage near Palace Park. The Street Stage near School Street will feature the Matchstick Architects and performers from RockOn . The Jacob's Pillow Dance Zone will feature a Jacob's Pillow Pop-up with Hood Nation, the Breffney Irish Dancers, Berkshire Salsa and more. Plus FREE Zumba in Park Square courtesy of Berkshire Yoga Dance & Fitness, and a lot more. Berkshire Gas is the presenting sponsor for the Third Thursday in August. 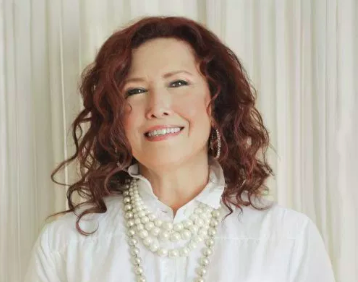 Barrington Stage Company presents a special performance by Grammy-winning singer Melissa Manchester. The Platinum Standard is a tribute to Frank Sinatra, Tony Bennett and Dean Martin, and the iconic songs they made famous. 8 p.m. $40-45. VIP tickets, which include premium seating and a post-show reception with Manchester, are $75. 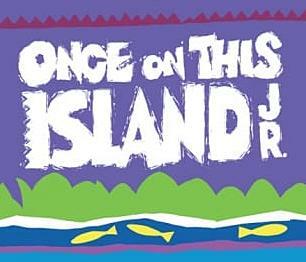 Berkshire Childrens Theater presents a poignant story with a catchy Caribbean-flavored score. Through almost non-stop song and dance, this musical tells the story of Ti Moune, a peasant girl who rescues and falls in love with Daniel, a wealthy boy from the other side of her island. When Daniel is returned to his people, the fantastical gods who rule the island guide Ti Moune on a quest that will test the strength of her love. Berkshire Museum. 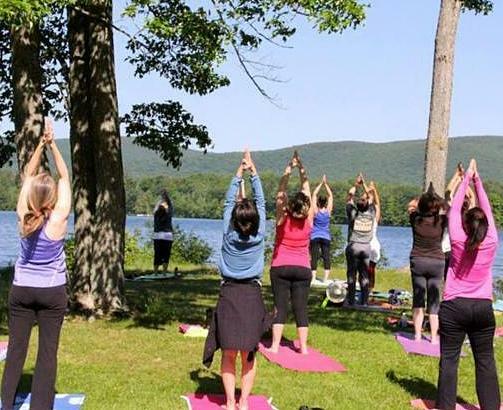 There are only two more chances to take your yoga and Zumba practice outside at Onota Lake! This Saturday, instructor Rachael Plaine, owner of Berkshire Yoga Dance & Fitness, will hold a yoga class from 9-10 a.m., followed by Zumba from 10:15-11:15 a.m. All ages and skill levels welcome! There is a $10 suggested donation per class. No pre-registration necessary. Rain cancels. Shakespeare's Romeo and Juliet is transported to modern day NYC as two young lovers find themselves caught between warring street gangs. 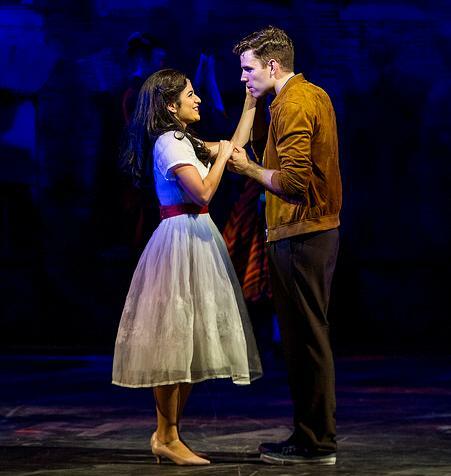 Their struggle to survive in a world of hate, violence and prejudice is one of the most innovative, relevant and deeply moving musicals of our time. Barrington Stage Company's Boyd-Quinson MainStage through Sept. 1. 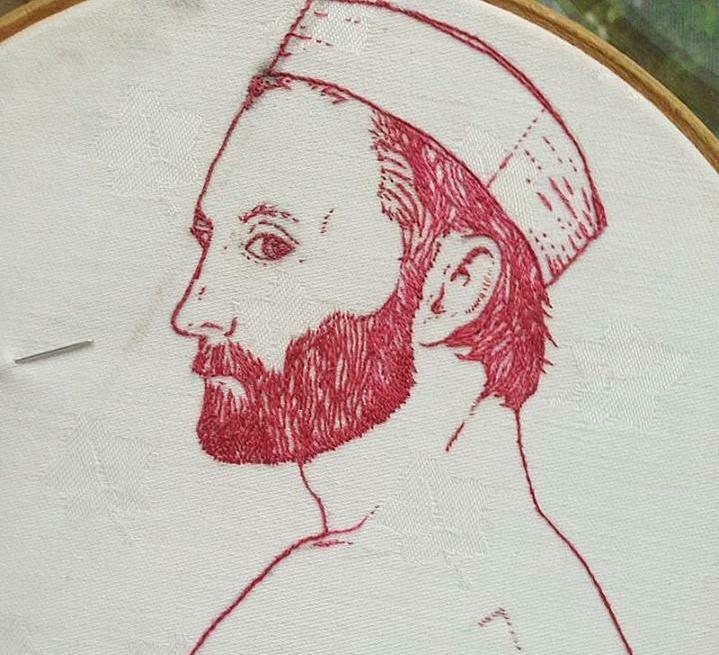 Join Township Four co-owner, artist Nathan Hanford, to learn the craft of hand-stitch embroidery. No experience necessary. Materials provided or bring your own. Prepaid registration required. 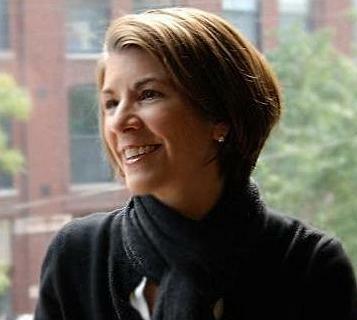 3 p.m. and/or 6 p.m.
Hancock Shaker Village's next Food for Thought dinner with an author event will feature Amy Dickinson, the "Ask Amy" advice columnist and frequent panelist on NPR's Wait Wait...Don't Tell Me! She'll discuss her new memoir Strangers Tend to Tell Me Things. 6 p.m. The Osher Lifelong Learning Institute (OLLI) at BCC presents a talk by author Darra Goldstein at the Berkshire Museum. She'll speak on Russian Culture & Cuisine: From the 18th C. to the Present. 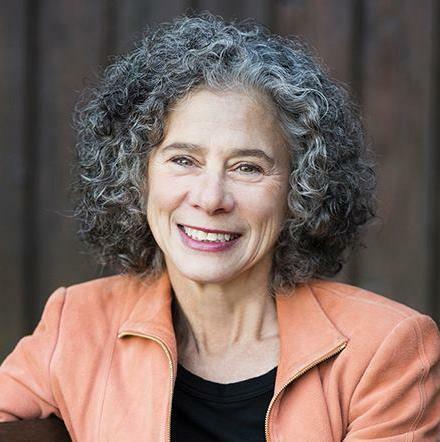 Goldstein is founding editor of the journal Gastronomica, a former Williams College professor, and she serves on the Advisory Board of the Julia Child Foundation for Gastronomy & the Culinary Arts. 3 p.m. $10 for OLLI members, $15 for the general public. 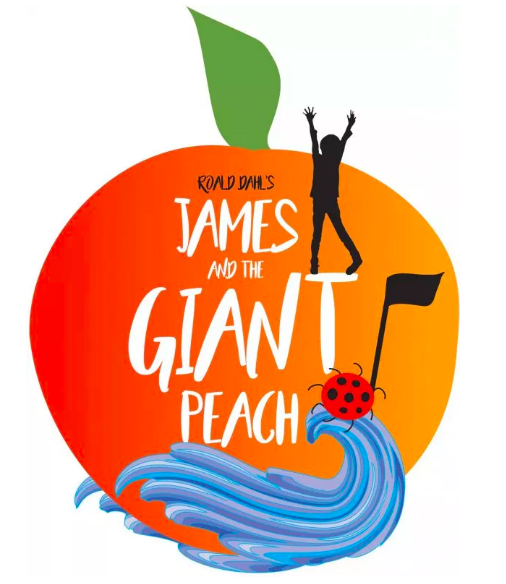 The Little Cinema film screenings will be on hold for the performances of James and the Giant Peach, presented by Barrington Stage Youth Theatre, running from now - Aug. 12. Little Cinema programming will resume Friday, Aug. 17. 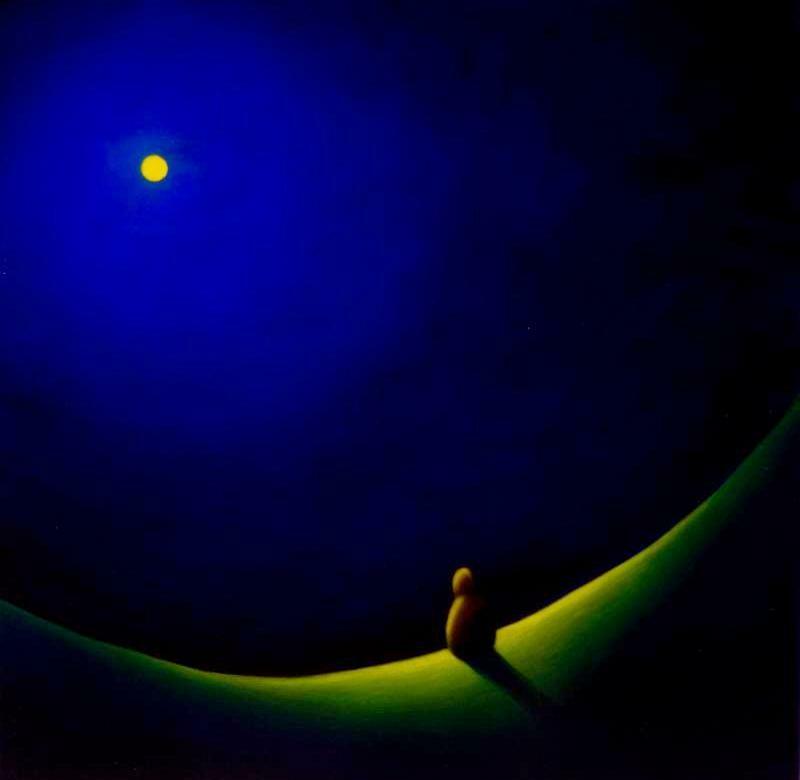 The Lichtenstein Center for the Arts will feature Dreaming of Light, paintings by Sean McCusker, for the month of August. Check out four of the 15 Berkshire Music School's Painted Pianos that are located in Pittsfield. Pianos are located at Park Square, Palace Park, the Common and the Berkshire Music School. Please sit down and play the pianos, and tell your friends to do the same! 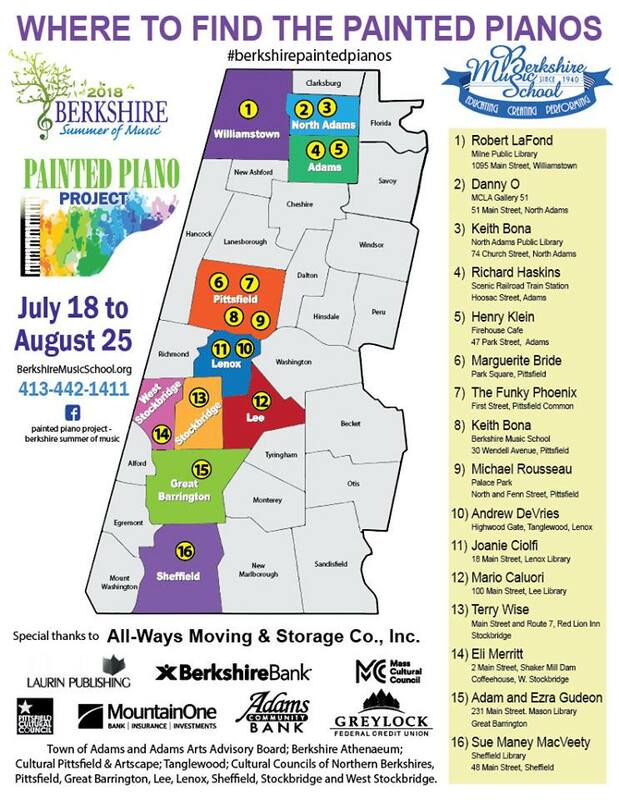 The Painted Piano Project culminates in an auction at the Berkshire Music School on Sunday, August 26. Click here for more information.